Inky Fairy Designs: The Greeting Farm + Simon Says STAMPtember Release! 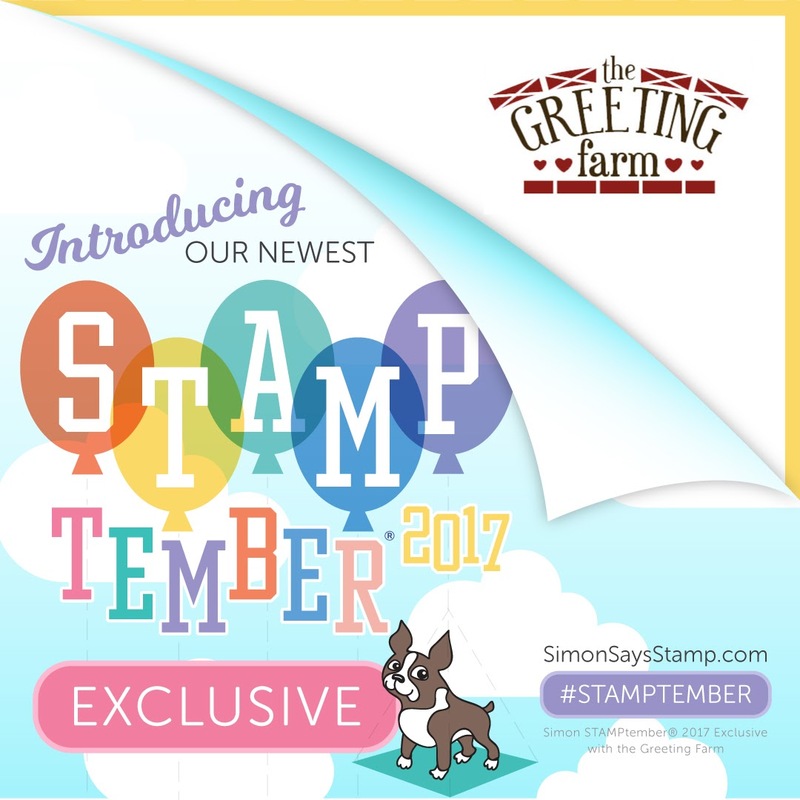 The Greeting Farm + Simon Says STAMPtember Release! Hi Everyone! I am so excited. Today is THE day I've been waiting for ALL STAMPtember! And it's the BEST day of all because today is ALSO the beginning of FALL! My favorite season. Today the exclusive stamp collaboration between The Greeting Farm and Simon Says Stamp is finally available! The aspens have already begun their beautiful change into gold and was part of my inspiration for this gorgeous background on my card today. 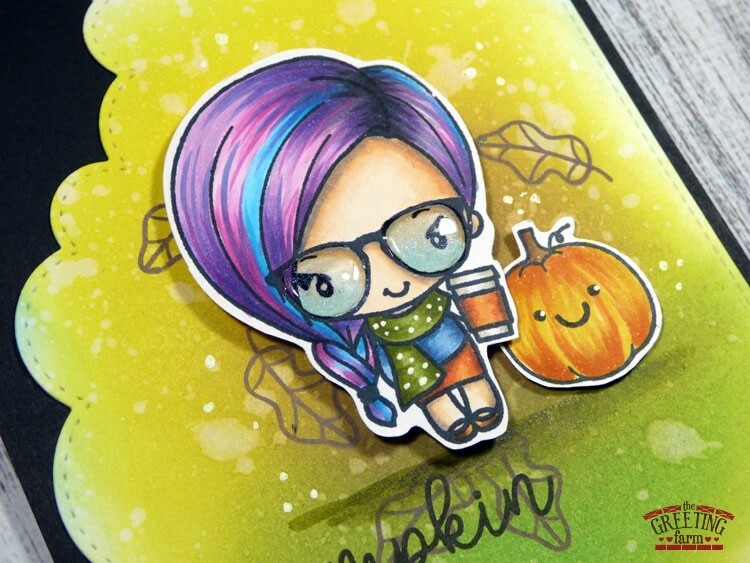 I colored up this adorable new stamp using Copic Markers and have a video to share with you if you scroll all the way down or just head to my YouTube channel. 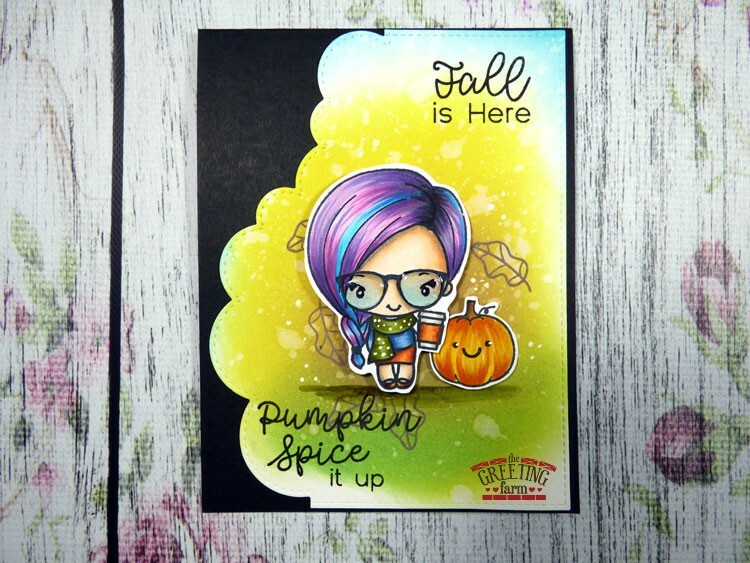 This new exclusive stamp set is called Pumpkin Spice It Up and is ONLY available over at Simon Says Stamp but HURRY, there is only a limited supply and when they run out, that's it! Here is a close up of my coloring. I can't resist adding a bit of shimmer and shine with Glossy Accents whenever I'm coloring a stamp wearing glasses. Isn't she the cutest? I have a video showing you how I colored this stamp for you today, you can watch it below or at my YouTube channel. I will be posting the card process video (including how I created the background) tomorrow morning. Be sure to subscribe so you'll know when it is up! Awww so sweet and I love how you coloured the pumpkin, it looks amazing! That's a lovely card with a stunning background !! The Greeting Farm SEPTEMBER Release Blog Hop!